This month Ubisoft and Sony joined the growing number of publishers who plan to start charging extra to play copies of used games online. Not every game...not yet. But Sony, Ubisoft, THQ, Electronic Arts, and Warner Bros. are all testing the waters for their own flavor of "online passport". Here's how it works (in general): New games will comes with a code has to be used to play the game online. The code is free; it never runs out. But it's also one-time use—one code per online account. That means if you buy the game used, and if the previous owner played that game online, you will have to spend an extra $10 to get a new code if you want to play it online, too. It's also a reminder of the increasingly intangible state of video game ownership these days. As the industry shifts from selling games on a discs in boxes to selling games sent over the Internet to your console, it's a good idea to clutch onto what few rights as consumers we have. If we're not careful, soon you won't own any piece of a video game. You won't be able to sell it, lend it to a friend, or give it to your son. Maybe you won't even be able to play it a second time. The gallery above is a look at some of the current slate of games that lose online playability once they pass to a new owner. This is the paid version of the Online Pass that is included with all new copies of Bulletstorm. If you have purchased a new version of the game, check your packaging for a free Online Pass download code. Play on six bonus 'Echoes' mode maps and test your Skillshot and scoring prowess against your friends and the global leaderboards. The Dead Space 2 Online Pass will enable you to strategically dismember your friends in the all new Dead Space 2 Multiplayer experience! Online play. Unlock all DiRT 3 multiplayer modes, 5 cars and the opportunity to upload highlights of your best runs direct to YouTube with the DiRT 3 VIP Pass. With the VIP Pass you can prove yourself online across all game modes in competitive Pro Tour events and unranked Jam Sessions. Also included in the VIP Pass is the chance to upload highlights of your most spectacular crashes, gymkhana runs and races direct to YouTube. Finally, five amazing cars are also included; the Colin McRae R4, 1995 Subaru Impreza WRX STI, Ford Sierra Cosworth RS500, Peugeot 405 T16 Pikes Peak and Hummer H3. The online code provides access to bonus content, exclusive offers and, most importantly, online multiplayer. Online Pass gives you access to online features and bonus content for your game. Choose your favorite EA SPORTS title to see what Online Pass offers for that specific title. Take your Homefront multiplayer experience to the next level! Continue earning XP past level 5 – Reach the maximum rank and gain access to new weapons, game modes, and vehicles in the Armory. IMPORTANT: A Battle Code is included with every new copy of Homefront, so please check inside your game box for a valid code before purchasing. Activate Kombat Pass today to access all the online features! The first time you play online, you must activate Online Kombat via a Kombat Pass Card, which was included with the purchase of the game. If the Kombat Pass code has already been redeemed by a previous owner, you can purchase a Kombat Pass code or try a 48 hour free trial from the in-game menu. The Online Pass grants you access to the Need for Speed Hot Pursuit online multiplayer modes, two exclusive cars (Lamborghini LP550-2 Valentino Balboni and the Lamborghini LP570-4 Superleggera), and ten times more storage space for your game photos. The PSN pass is a network pass program that grants the account holder full online access for the game. If you haven't already enabled Online, when you try to access an online feature in your game, you will be prompted to enter your code. 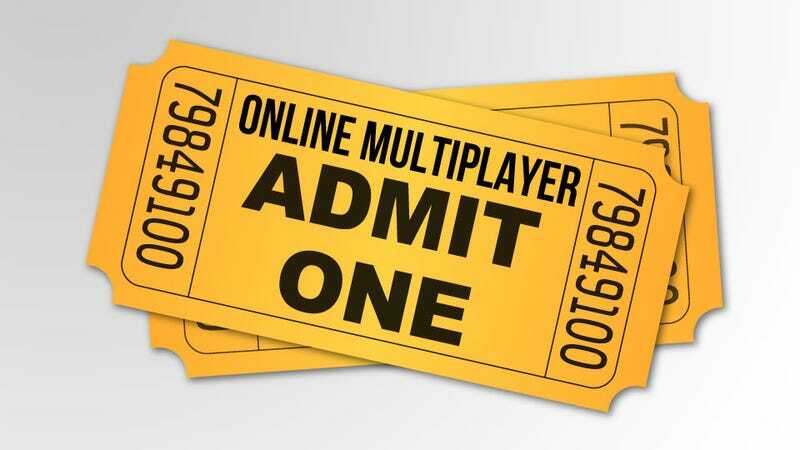 There is a seven day trial to check out online multiplayer, after that you'll need a code to play online.